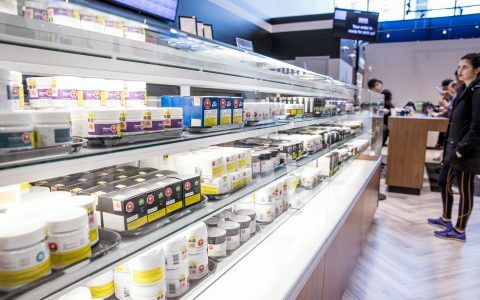 Cannabis-infused edibles, in theory, represent the oldest, healthiest, and most natural way to consume THC, CBD, and other therapeutic chemical compounds found in the plant. Ironically, however, cannabis is all-too-often the healthiest ingredient. 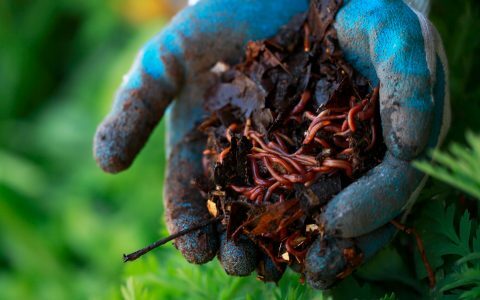 “Eating your weedies” allows the body to process cannabinoids more thoroughly, and with far longer-lasting effects, thanks to absorption through the stomach and liver. But that’s slowly changing as the market matures. 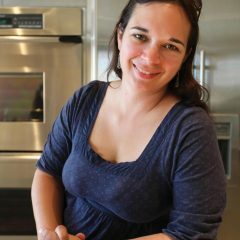 Consumers are demanding options catering to specific dietary needs. 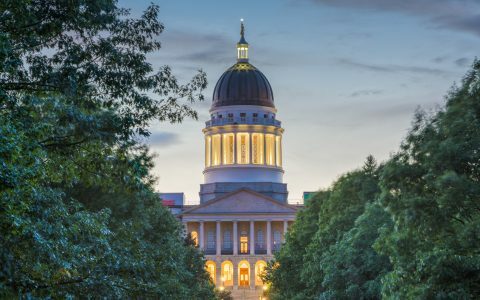 Savvy canna-shoppers in legal states can now find sugar-free, vegan, paleo, raw, and gluten-free edibles options. If you happen to be in California, here’s a round-up of healthy edibles so you no longer have to choose between your diet and your cannabis. 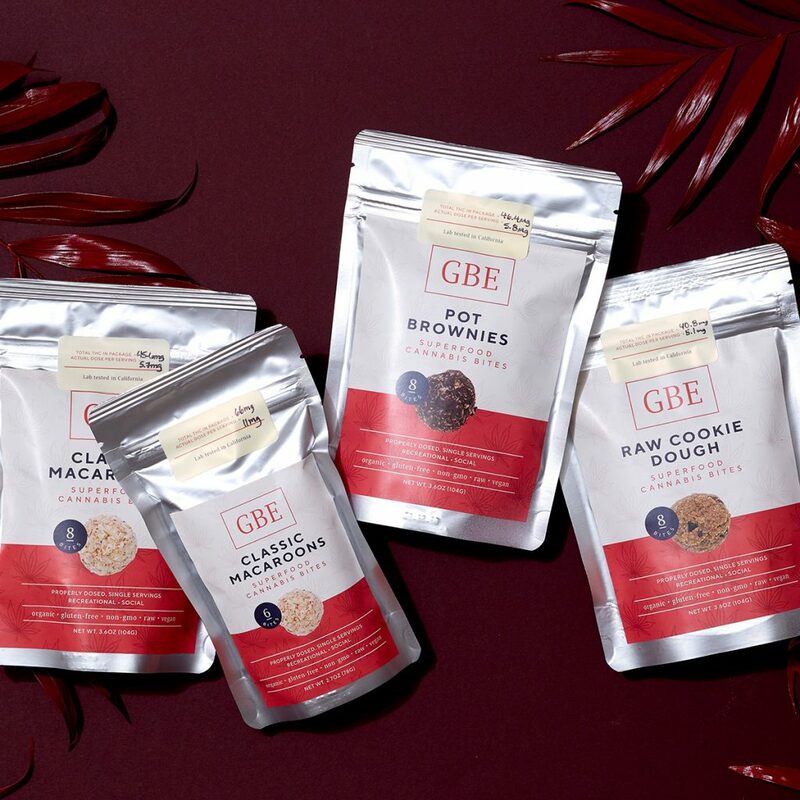 The label may call them “pot brownies,” but these treats from newly launched Good Bites Edibles are really vegan chocolate coconut macaroons made with raw, organic, gluten-free, non-GMO ingredients. With 8 milligrams of THC per bite, the package describes the feeling from eating one as being “free,” with two bites bringing you to “clear,” and three bites launching you to “space”—but as always with edibles, your mileage may vary, and its best to “start low and go slow” until you find your own optimal dose. Moist with lots of cacao flavor, these treats left no telltale cannabis taste behind, while a “clear”-sized dose kept the relief flowing for hours. Made from locally sourced, natural, wholesome ingredients (rolled oats, shredded coconut, and a hint of brown sugar) “combined with the finest distillate,” these delicious cookies from 3Leaf arrive individually wrapped in gold foil with a THC dosage sticker denoting that each cookie contains 10 mg of THC. 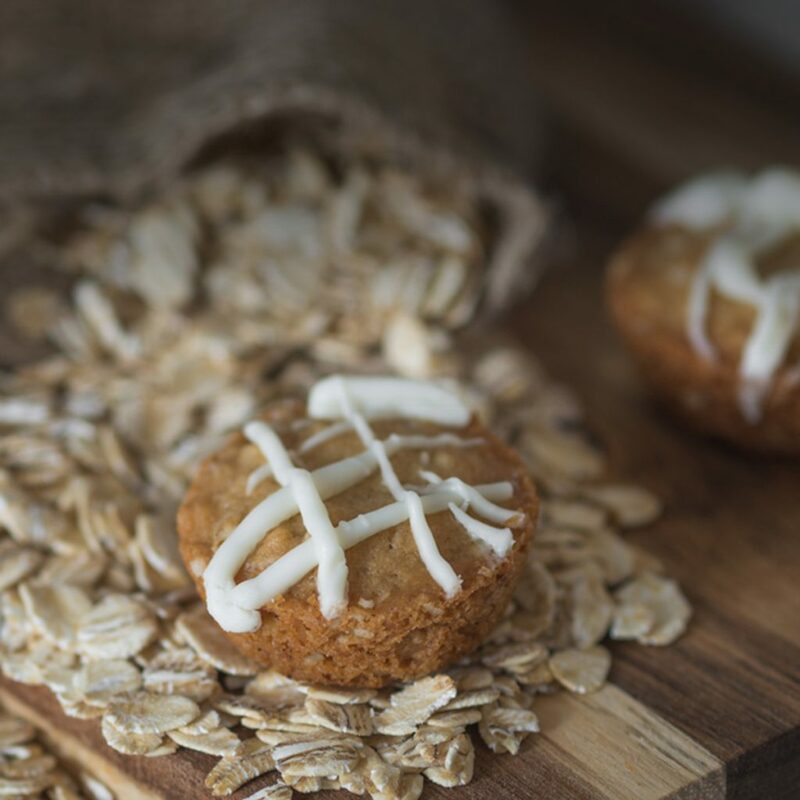 While perhaps a bit bland and dry when compared to “traditional” super-sugary weed treats, a tiny burst of sweetness from the drizzle of white chocolate over the top of each cookie helps the medicine go down very nicely indeed. 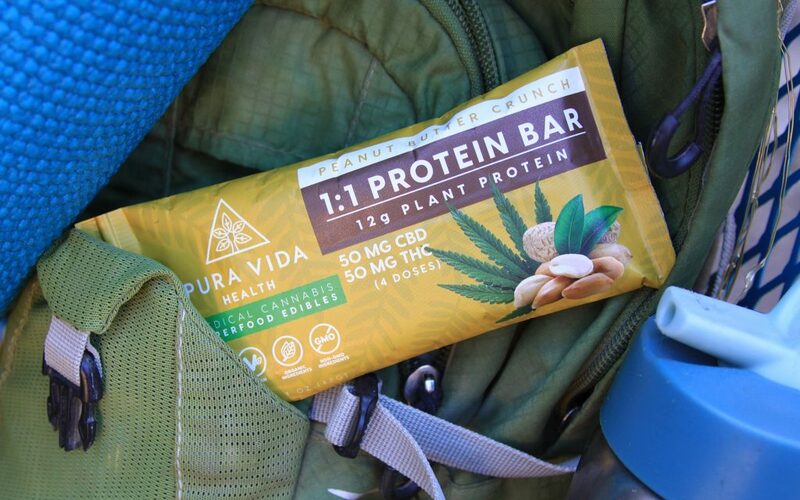 A gluten-free, organic, and non-GMO protein bar made with puréed dates, this vegan treat gets dosed with full-spectrum cannabis extract infused into coconut oil, which gives it a bit of a “green herbal flavor,” but not in a bad way. 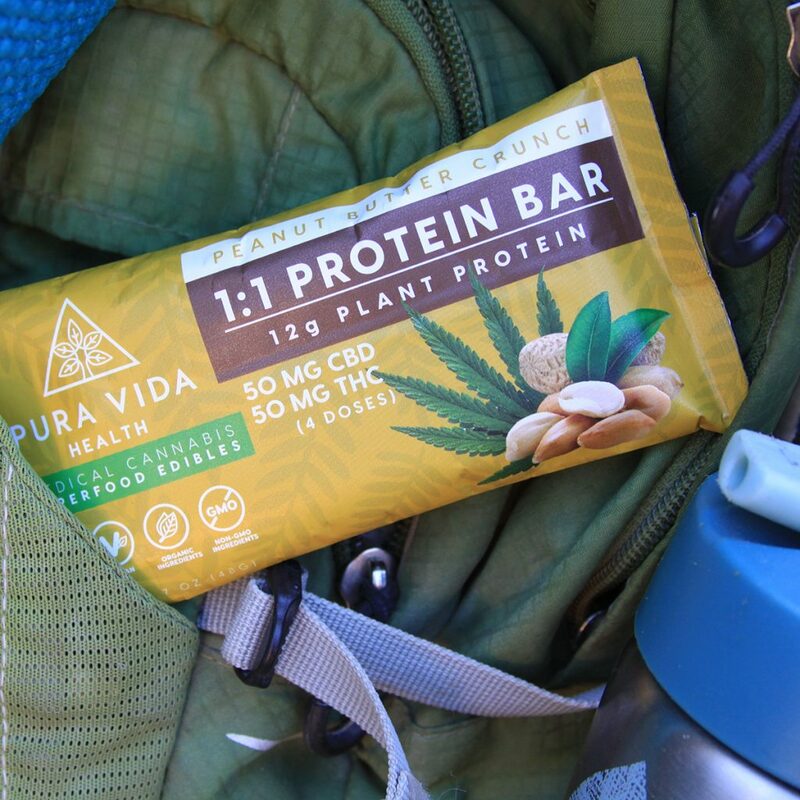 Slightly smushy, and a little oily on the exterior, Pura Vida’s line of protein bars are best kept in the refrigerator. With 100 total milligrams of cannabinoids (in a 1:1 ratio of THC to CBD), the peanut butter crunch bar provided a wonderfully balanced effect that lasted many hours. Those still learning their ideal dosage for edibles should start with just one of the bar’s 10 clearly marked segments, each of which contains 5 mg of THC and 5 mg of CBD, plus 1.2 grams of protein. 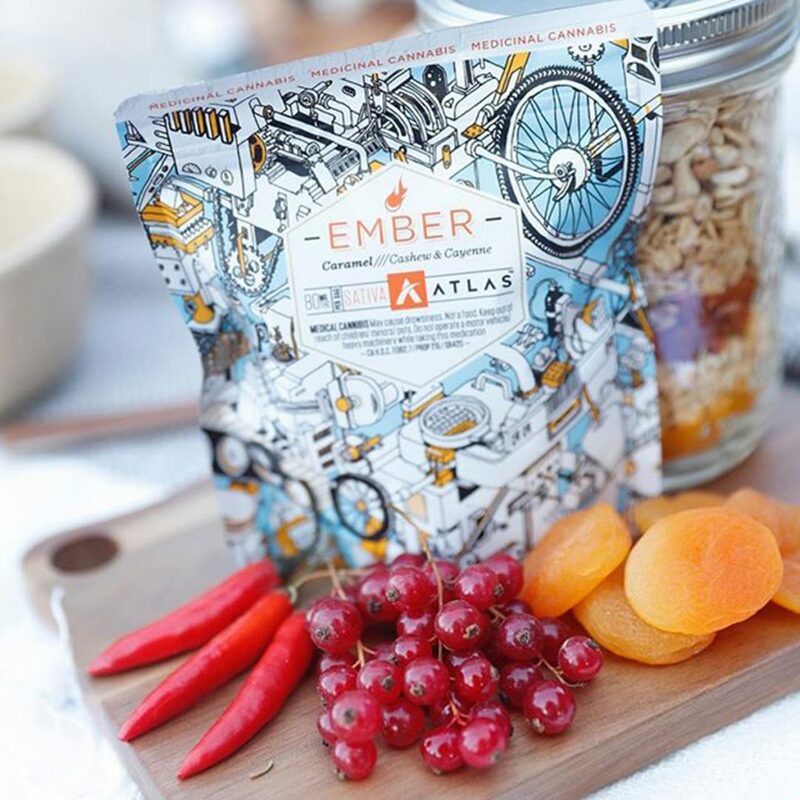 With an array of gluten-free, “beegan” nut clusters available in several sophisticated flavors, Atlas Edibles seeks to satisfy your cravings for sweetness while also delivering nutritious superfoods like blueberries, oats, cashews, and ginger in every bite. Chewy, moist, and delicious, these edibles pack 20 mg of THC into each cluster, with four clusters per package. Having already hoisted a few Cannabis Cups onto their awards shelf, Atlas is currently expanding to more dispensaries statewide, so look out for their distinctive artist-designed packaging at your favorite shop, or ask for them by name. From the famed hippie-haven of Santa Cruz comes a line of raw, vegan, gluten-free, paleo, and kosher-friendly macaroons in a wide array of mouth-watering flavors, including Chocolate, Vanilla, Raspberry, and Chocolate Chip Cookie Dough—each dosed with either 5 or 10 mg of THC. Moist and chewy, these macaroons are infused with Utopia’s award-winning cannabis, which they cultivate to the highest standards, using eco-friendly techniques. 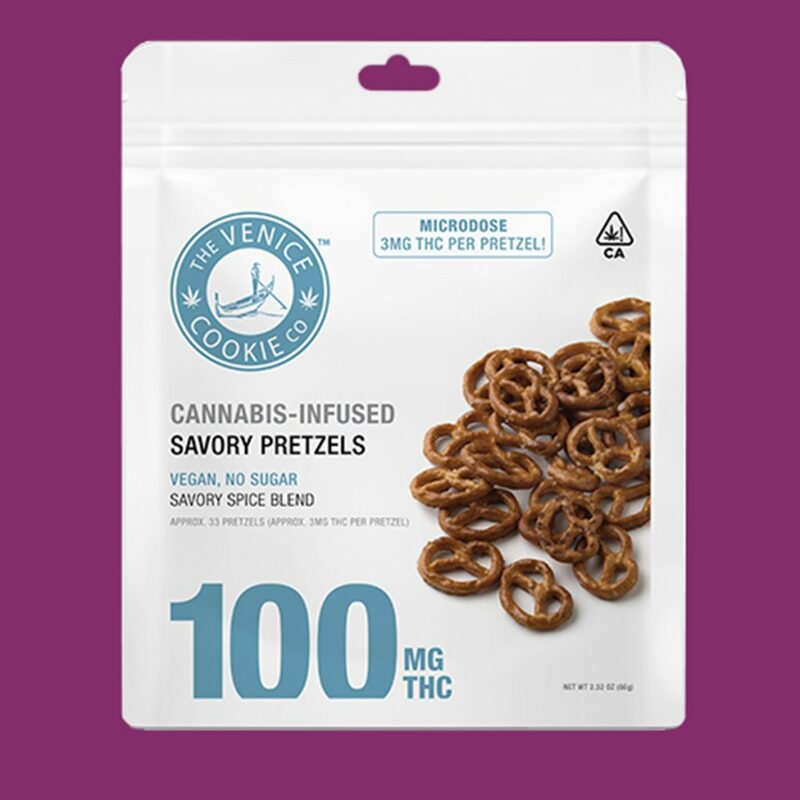 The only savory product to make the list, these sugar-free, vegan, spicy little pretzels from Venice Cookie Company deliver approximately 3 milligrams of THC each, making it easy to microdose accurately, especially for those with a sweet tooth that makes it hard to stop after just one bite of a dessert-style edible. Deliciously snackable, they make a great pairing with charcuterie, mustard and pickles—just make sure to have some regular pretzels on hand too, or the whole microdosing thing can quickly go out the window! 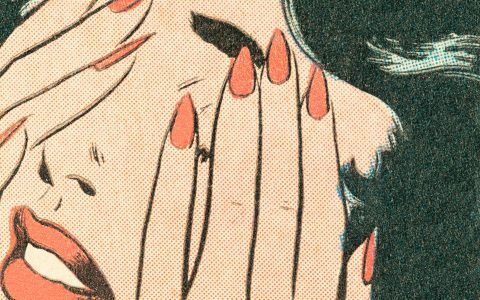 Gummies are among the easiest types of edibles to digest, a big boost to anyone facing nausea, IBS, or similar conditions. 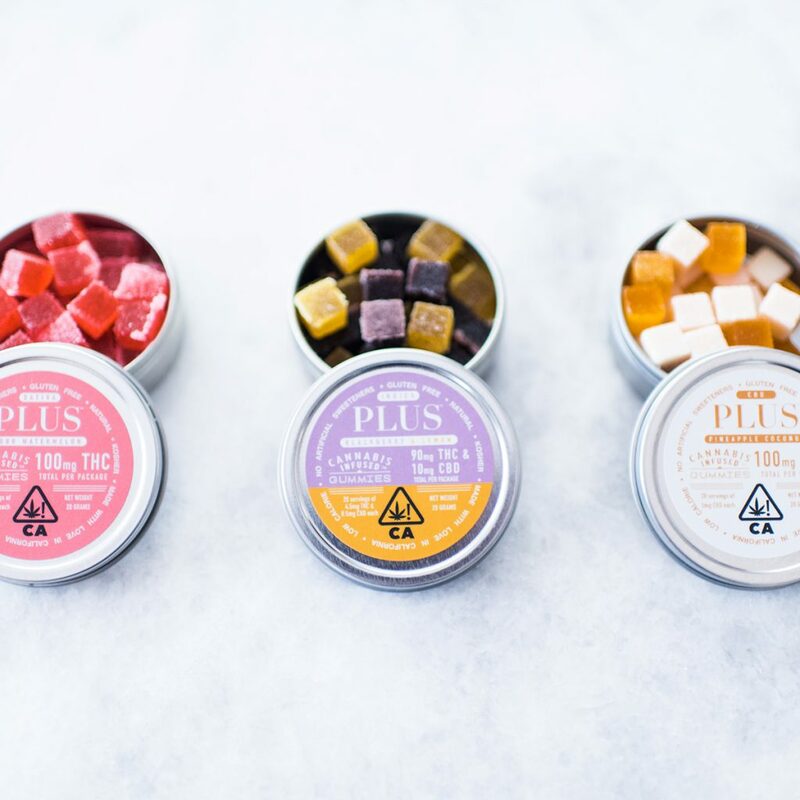 Made with beef gelatin, these low-dose, gluten-free little cubes from Plus are designed to absorb slowly into your system, so the cannabinoids take effect steadily over time, providing far longer-lasting relief. 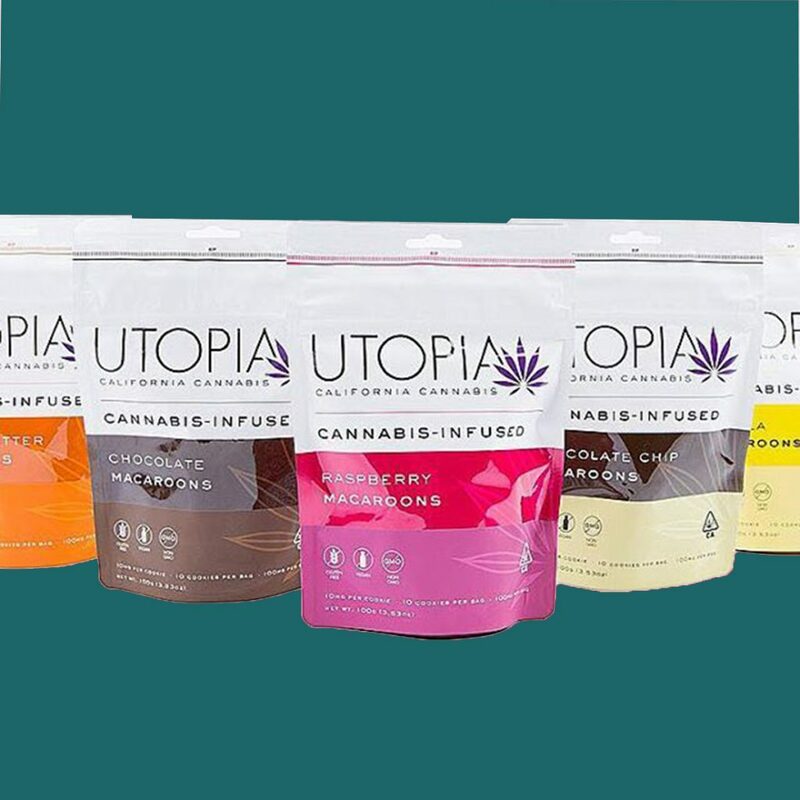 They come in a range of flavors, including Sour Watermelon sativa, Blackberry and Lemon indica, or Pineapple and Coconut CBD. Each gummy has 3 to 5 mg of either THC or CBD, offering an easy way to titrate your dose and remain in control of your cannabis experience. Delightful bites of superfood goodness made of dried fruits and nuts, these raw, vegan, gluten-free treats are packed with flavor. 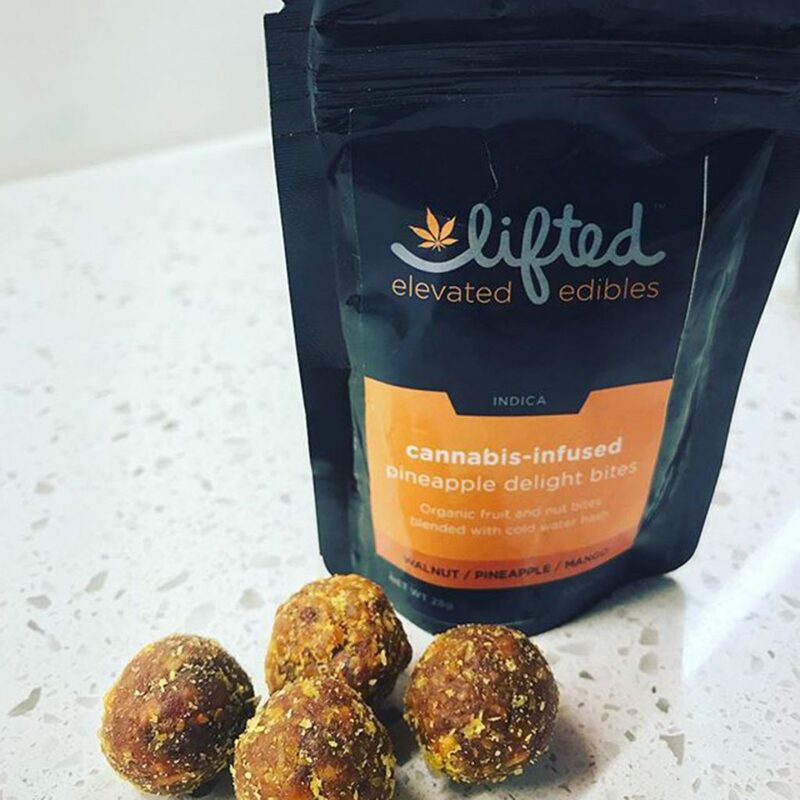 Lifted’s Pineapple Delight Bites, Blueberry Bites, and Cherry Mango Bites have all received prestigious awards from cannabis competitions, and there’s even a variety pack so you can try them all! With 100 milligrams of THC per package, they aren’t a low-dose edible, but that also makes them a great option for more experienced users with a higher tolerance or more serious medicinal needs.